When was the last time you saw a vulture soaring high in the sky? We asked every forest guard and every villager we met as we traversed through the forest villages of Kanha Tiger Reserve, and their answers were all exactly the same: many, many years ago. 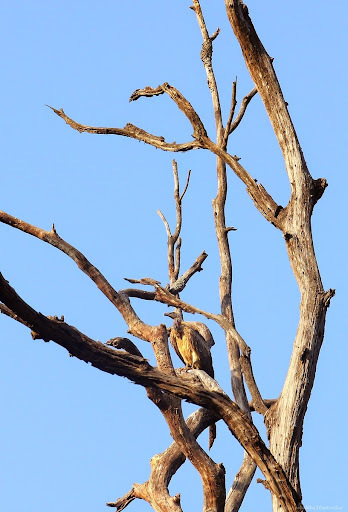 Only a handful of forest guards see vultures soaring in the skies today, and all of them mostly in the core-zone of Kanha Tiger Reserve, far from any human interventions where they feed on carcasses of wild animals. However, these numbers too have drastically dwindled compared to what was two decade ago. Villagers recall instances of seeing hundreds of vultures on their village peripheries over a decade ago, especially in places where carcasses of dead livestock animals were dumped. Today, there are none, and the carcasses remain there rotting under the sun, attracting a number of other aggressive scavengers like feral dogs, and these spots have become potential breeding grounds for harmful bacteria. 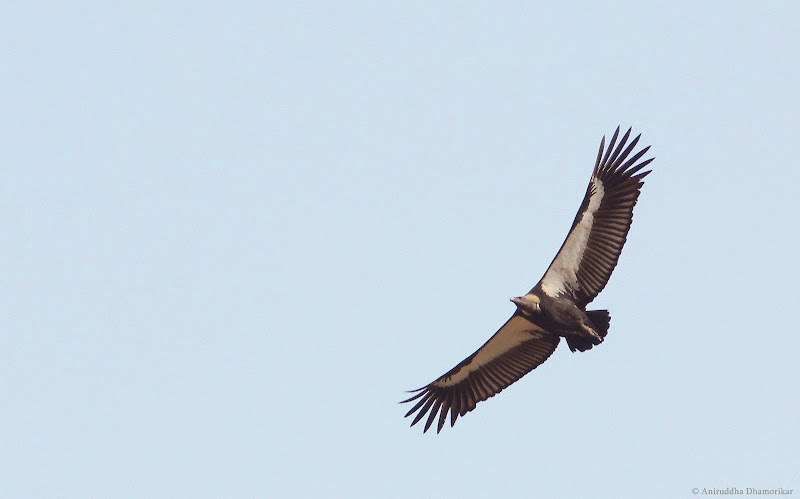 People across the country may not remember vultures very fondly, but we are beginning to miss them terribly. The declining populations of vultures of the Indian subcontinent came to the notice of the world around the early 1990s, and as further research was undertaken, a grim picture came to the forefront: that the vulture extermination was not caused by any contagious disease, but by a medicine created by man for treating livestock. Within a decade about 99% of Gyps Vulture populations crashed, with as much as 99.9% of White-rumped Vulture, and 99% of Slender-billed and Long-billed Vulture populations dying off at an unstoppable pace across the Indian subcontinent. The sole cause of their extermination was found to be a Non-Steroidal Anti-Inflammatory Drug (NSAID) diclofenac sodium, a painkiller commonly used to treat livestock (Shultz et al., 2004). It is toxic to vultures, affecting their kidneys and resulting in dehydration, renal gout, and kidney failure within 24 hours of consuming carcasses treated with the drug. 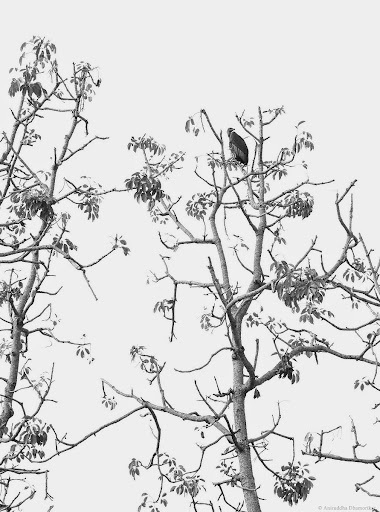 Scientists recorded hauntingly depressing scenes of trees full of ailing vultures, with their necks drooping – a forewarning of their terrible fate. Experts warned that vulture extinction was imminent unless diclofenac was banned and stringent conservation measures were put in place. The effects of man-made medicines on wild animals and birds are little understood, and the tragedy of India’s vultures serves as a wake-up call to the entire world. It exposed the lack of knowledge and awareness about the effects man-made drugs and other compounds may have on animals. The furor about diclofenac led scientists to study other related compounds, such as aceclofenac and ketoprofen, which are now proven to affect vultures negatively as well. A recent study has also conclusively proven that diclofenac affects eagles in much the same way as vultures (RSPB media release, May 2014). now it is one of the Critically Endangered species. Vulture extermination opened a large lacuna in one of the most important ecological functions, that of efficient disposal of dead animals. As their populations declined, feral dogs and crows, which are primarily synanthropes, took over the empty niche left behind by vultures. Dogs and crows are two extremely adaptable opportunist scavengers, whose populations remained in control with the dominance of vultures at carcass dumping sites. Today, the roles are reversed. Their populations grew, and unlike vultures that seldom ever live in human settlements, dogs returned to their human abodes now even more aggressive, and brought with them bits and pieces of rotting flesh which can pollute waters and spread harmful diseases. Studies have shown a significant increase in rabies cases and feral dog populations as vulture populations have declined (Markandya et al., 2008). The only safest alternative proven to have no side-effects on vultures is meloxicam (Swarup et al., 2006), another NSAID which was promoted after the ban on the veterinary use of diclofenac imposed by the Government of India in 2006. However, it is almost twice costlier than diclofenac, making it difficult to be accepted for regular veterinary use. What further compounds to this problem is that diclofenac is readily available for human use, and large vials are still sold over-the-counter, making them easily accessible at a much cheaper rate for their misuse in treating livestock (Cuthbert et al., 2011). Today, vultures are as threatened as the tiger, and are given the same status of protection as the latter. Where we’re lacking in knowledge is that we do not know where our remaining vultures have vanished. Are they eating diclofenac-free carcasses, are they breeding well, or are they still dying out – are some questions that largely remain unknown. But what has been done in the last decade to bring back the vultures, the kings of our skies, is nothing short of astonishing. A number of governmental and non-governmental initiatives have been undertaken. Captive breeding programmes at Haryana, West Bengal, Assam, and recently in Bhopal, have been established by institutions like the Bombay Natural History Society (BNHS) and the Royal Society for Protection of Birds (RSPB), and the respective Forest Departments. Saving Asia’s Vultures from Extinction (SAVE), a consortium of like-minded organizations and individuals working for conservation of vultures, have come up with a protocol for setting-up Vulture Safe Zones (VSZ), where it is ensured that an area of at least 30,000 sq. km around villages and known vulture roosting and feeding sites is kept free of any traces of diclofenac through active participation of local communities. New challenges lie ahead, and there are many more miles to tread before we start seeing substantial results. Policy interventions to phase out diclofenac are crucial in addition to ex situ conservation to ensure the long-term protection of vultures. In order to reach out to the citizens of the country, the first Saturday of every September is celebrated as International Vulture Awareness Day, and as more and more people become aware of the plight of India’s vultures, scientists are now more optimistic about effectuating a radical change in the conservation of this bird we fondly remember as Jatayu from the Ramayana. And as new batches of captive-bred vultures fly free to reclaim their original habitats, mankind has proved that what has been done can indeed be undone (also read Prakash et al., 2012). And with consolidated efforts, vultures can reign over our skies once again. 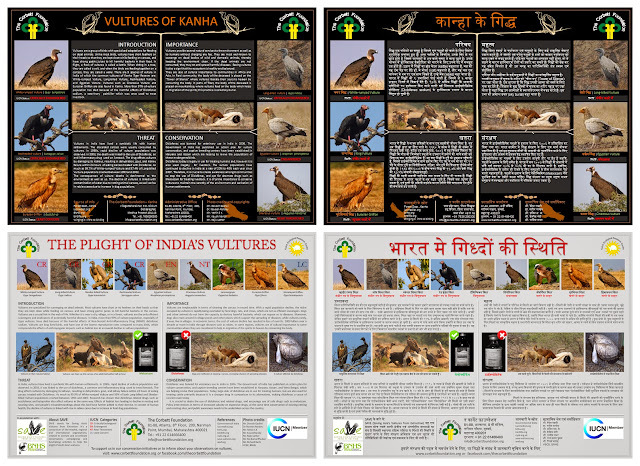 As a part of The Corbett Foundation’s initiative for vulture conservation and awareness, we have published posters on vultures of Kanha Tiger Reserve in English and Hindi, as well as on vultures of India in English and Hindi, with translations in other languages on their way. These posters are the efforts of the researchers, organizations, and photographers who have contributed for awareness of vultures. If you are keen on obtaining these posters, do write to me. Posters on vultures are an effective way of spreading awareness across schools, institutions, and masses. These posters are created by The Corbett Foundation with the help of various contributors. A very informative post. My first sighting (and indepth information) about vultures was when we saw successful results of conservation efforts by Sahyadri Nisarga Mitra at Shriwardhan, Maharashtra. Somehow there is not much awareness about this species and there is much that needs to be done. Thank you for reading Archana, I agree with you - although much is being done, most people are not even aware of what happened and what impact it will have if vultures vanished.